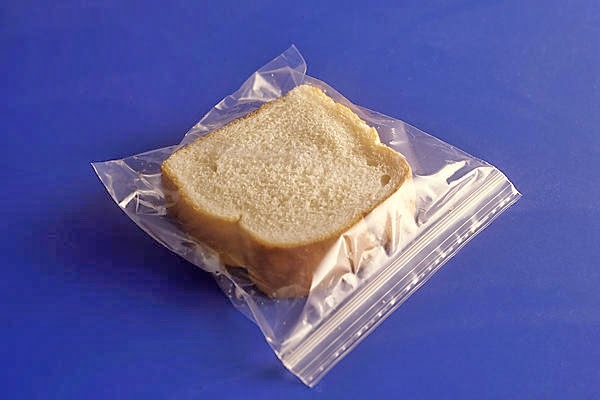 Wendy Pua | Malaysia Chinese Lifestyle Blogger: Malaysia Clothes Buffet - What You do with a ZipLock Bag? 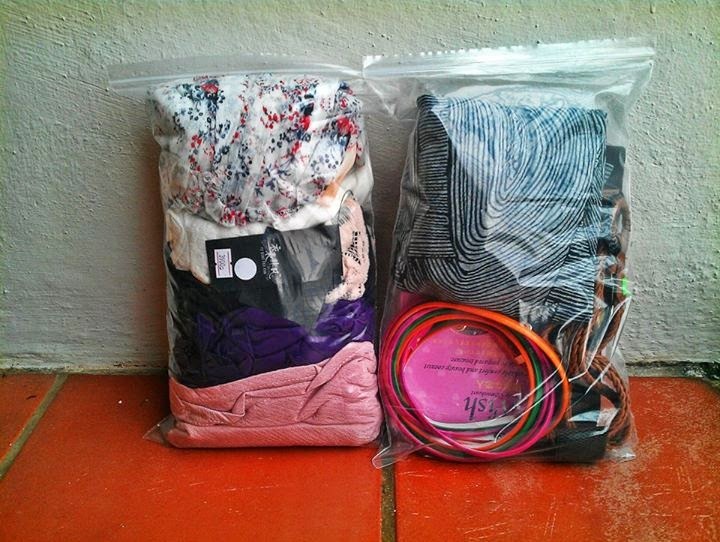 Malaysia Clothes Buffet - What You do with a ZipLock Bag? What You Can Do with A ZipLock Bag? Pack tons of Clothessss NOW! 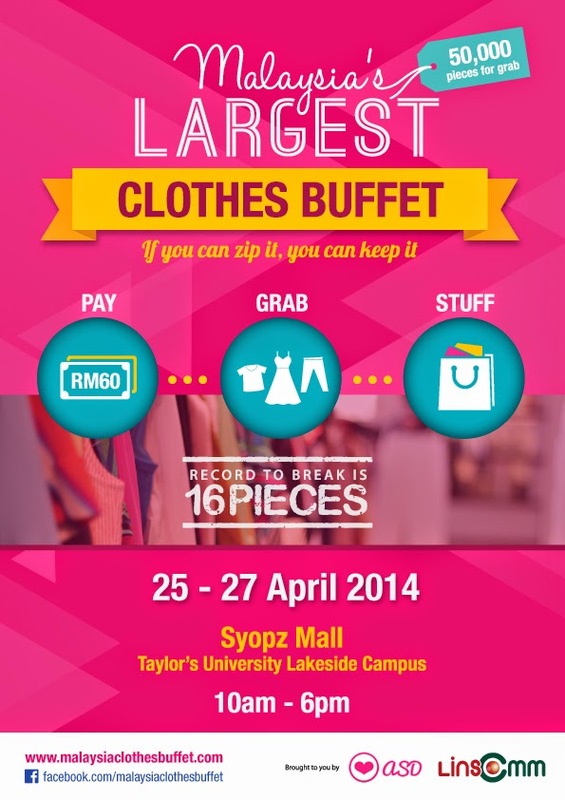 Indulge in a unique shopping experience at Malaysia's Largest Clothes Buffet happening from 10am - 6 pm on 25-27th April 2014 at Syopz Mall, Taylor's University Lakeside Campus. Organized by LINs Communication and A Shopaholics Den, this event aims to bring shopping to a whole new level for young fashionistas without breaking the bank. Shoppers will have access to a whopping 50,000 pieces of fashionable pieces in the buffet area which they can enter with a fee of RM 60. Each will receive a ziplock bag and be allowed to grab as many pieces as they can in 15 minutes. As long as they can fit the clothes into the ziplock bag and zip it, it is theirs to bring home. On each of the three days, a Blowout Sale will be held from 4-6pm where each piece of clothing will be on sale for RM 10 only. 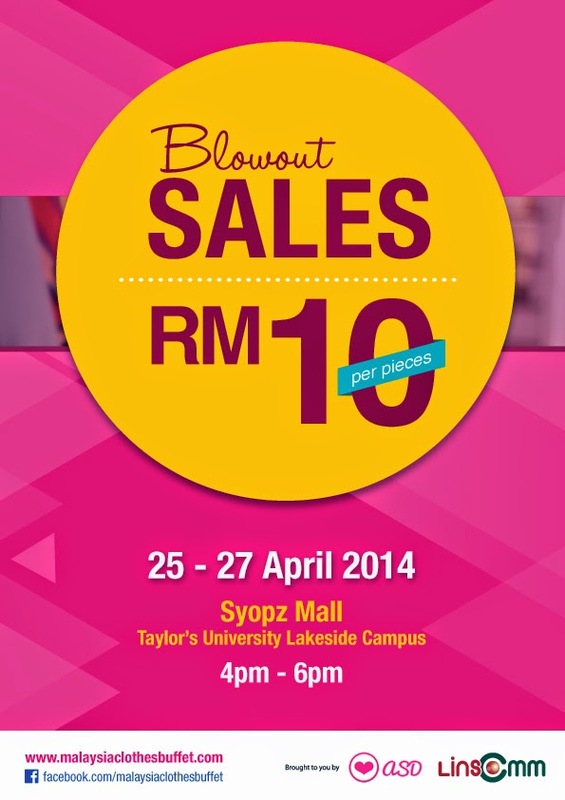 A variety of stalls will also be participating in the adjacent fashion bazaar. Check it Out Facebook page at www.facebook.com/malaysiaclothesbuffet.